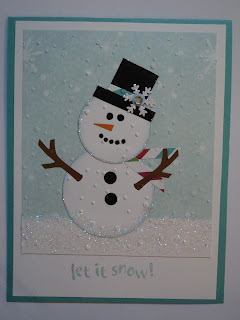 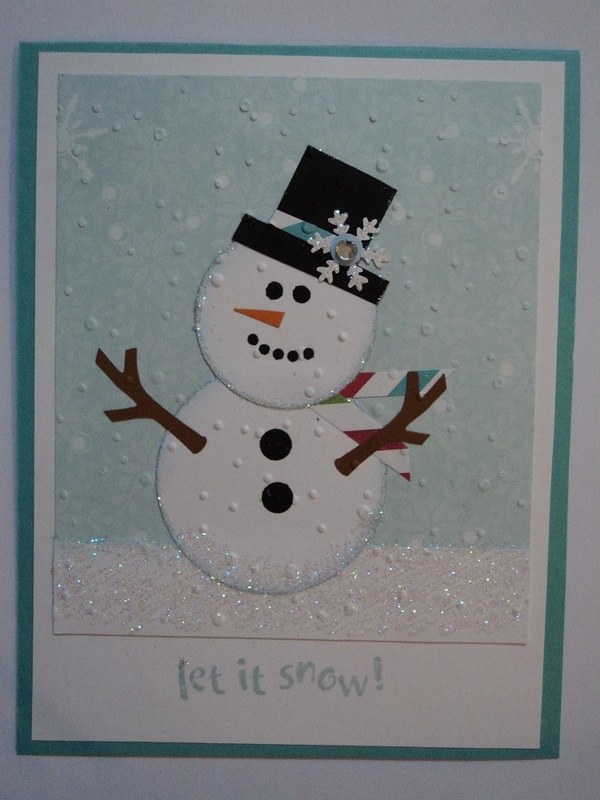 Think of of the box using various circle punches.... Made the stacked snowman in the first card using the various circle punches and then made the stand up snowman card also with various circle punches. 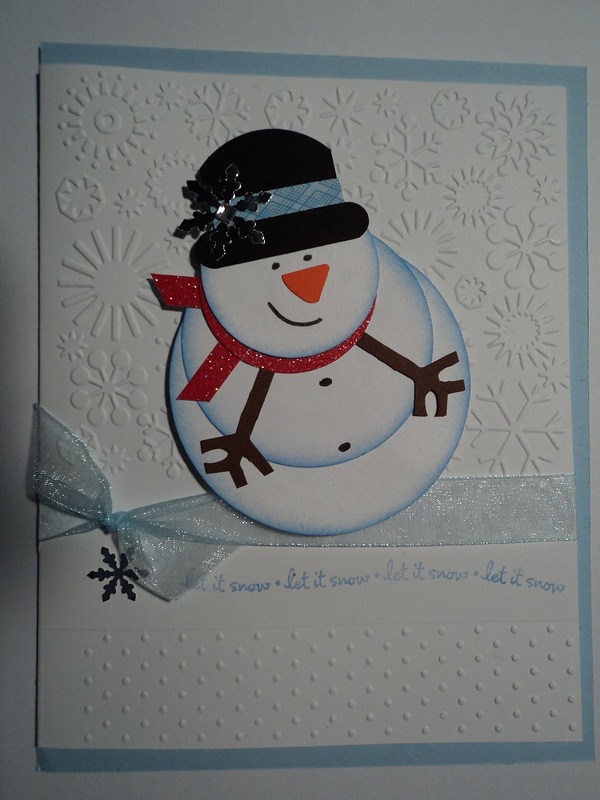 On the second snowman I used circle punches for his buttons, eyes, and mouth. 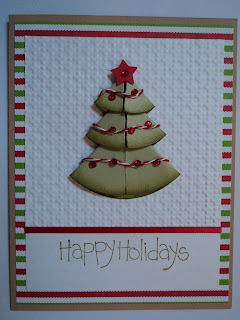 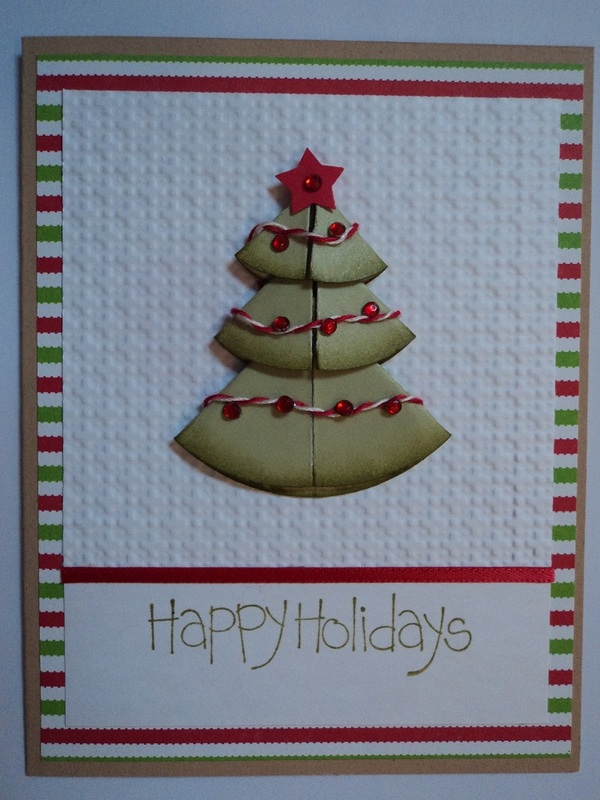 The third card is a folded Christmas tree made with circle punches.